(TibetanReview.net, Sep23, 2018) – The Swiss government has been criticized for not reaching out to the Dalai Lama during his ongoing five-day visit to the country beginning Sep 20, reported swissinfo.ch/eng Sep 21. 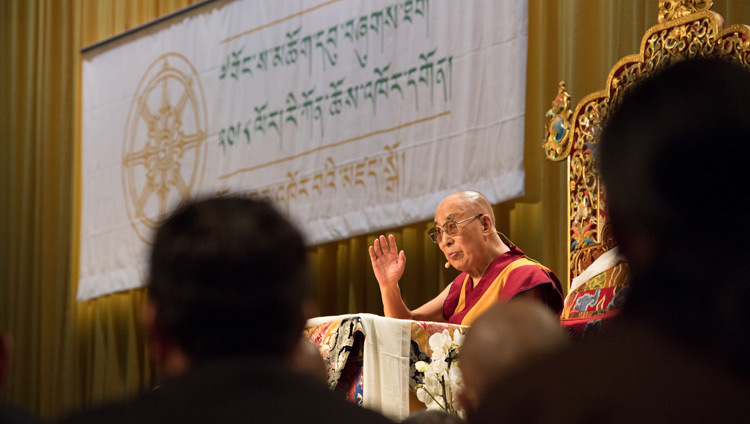 The 83-year-old Tibetan spiritual leader, the recipient of the 1989 Nobel Peace Prize, is taking part in the 50th anniversary celebrations of a Tibetan religious and cultural centre in Zurich. He will also take part in a symposium with scientists and give religious teachings. “It is particularly incomprehensible that the government is not receiving the Dalai Lama this time,” Thomas Büchli, president of the Swiss-Tibetan Friendship Association, was quoted as saying, speaking to the news agency Keystone-ATS. It would have been mere “politeness” to welcome the Nobel Peace Prize winner “with dignity” on the occasion of the jubilee, he was reported to have added. The report said none from the seven-member Federal Council will met with the Dalai Lama during his 15th visit to the country since his first in 1973. However, according to an official report from the visit, the Abbot of Rikon Monastery, Ven Thupten Legmon, while addressing the gathering before the Dalai Lama on Sep 21, did welcome “representatives of the Swiss Government”, among others in his salutations. The Dalai Lama took part in the official celebrations of the institute’s jubilee at a sports hall in the city of Winterthur on Sep 22. On the following day he delivered a spiritual discourse at the Hallenstadion in north Zurich. And on Sep 24 he will participate in a symposium at the Zurich University of Applied Sciences in Winterthur. Switzerland is said to be home to around 7,500 people of Tibetan descent, constituting the largest Tibetan exile community in Europe.